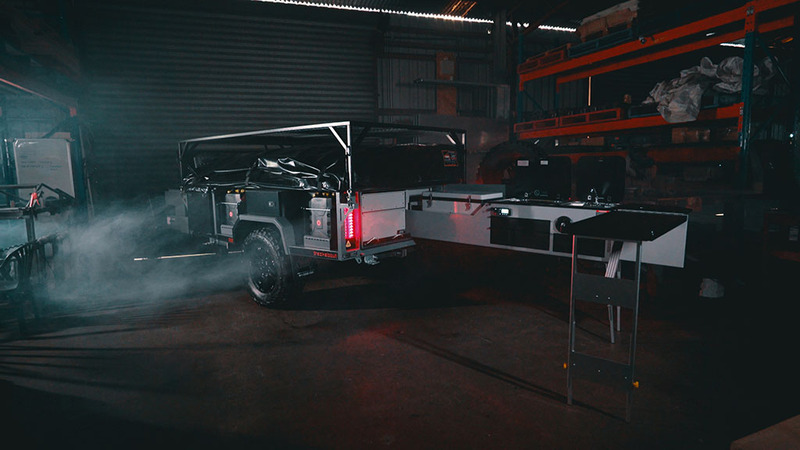 In celebrating the enormous 20 year milestone of manufacturing within Australia we are excited to offer you the chance to own a personalised, limited edition Trackabout. What you've been waiting for.. 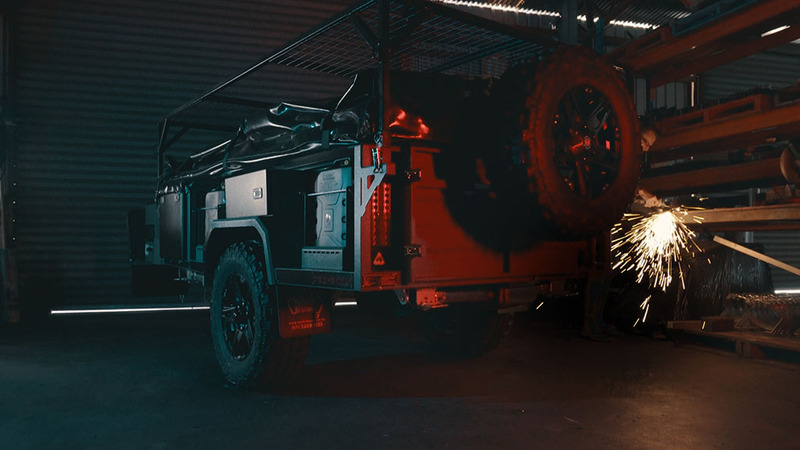 The exclusive Trackabout Anniversary Edition 20 is your opportunity to purchase a personalised trailer featuring a wide selection of exclusive features, some that would not usually be on offer. We have always been proud to uphold our impeccable reputation and with our twenty-years of steady growth, we are sharing our success with this unique opportunity. 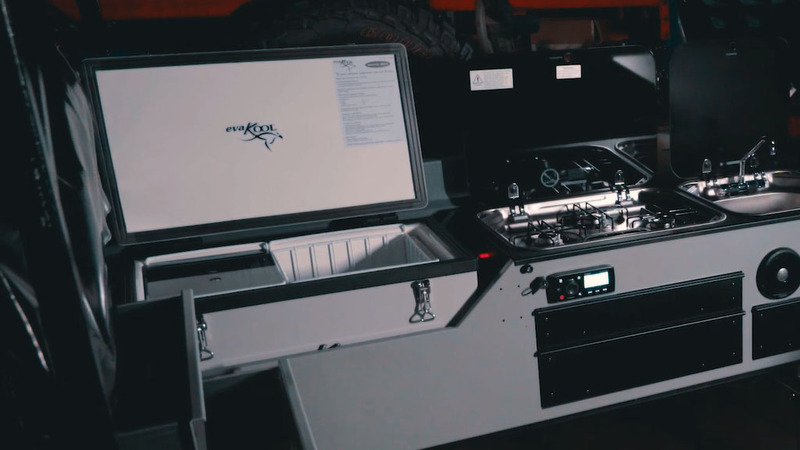 Our ae20 comes loaded with our tilting boat rack, Cruisemaster independent suspension, Fusion radio with Bluetooth capabilities, Redarc Manager 30 battery management system and a custom two-tone powder coat with laser cut decals showcasing the Trackabout ae20 branding. It also includes a custom interior storage colour scheme, foam drawer inserts to secure kitchenware and included dinnerware for up to four people and a kitchen return bench. The development of the ae20 would not have been made possible if it weren't for passionate Trackabout owners and travel enthusiasts. 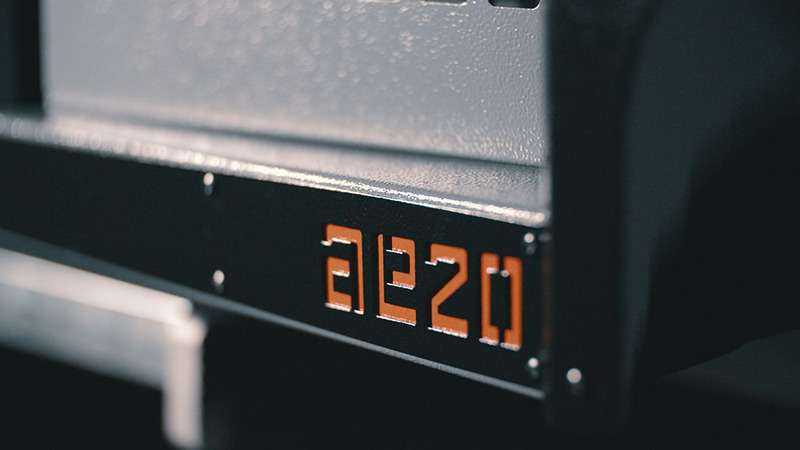 With the feedback we have received over the last 20 years as an industry leader and our ever evolving product range we’ve released the ae20 as a way to celebrate with our fans and loyal supporters. 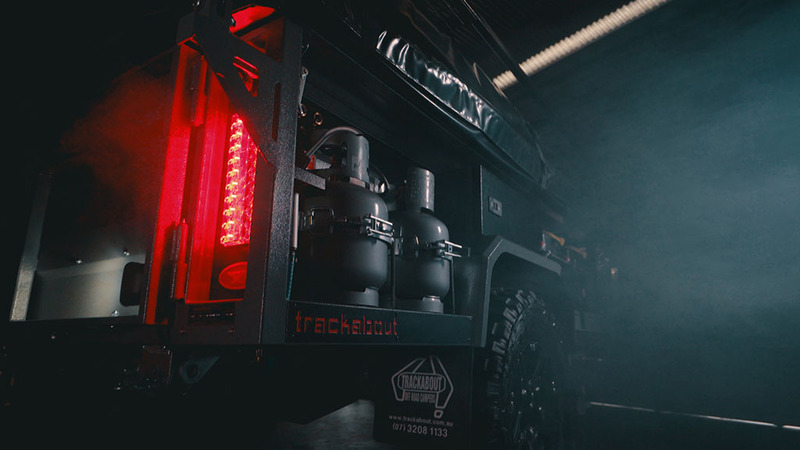 With 20 years of high quality manufacturing and unrivalled service under its belt, Trackabout is excited to stand a step ahead of the competition and provide customers with these same values for another 20 years to come. The Trackabout ae20 comes with a two-tone powder coat with custom laser cut decals showcasing the ae20 branding which is a modern re-take on our heritage colours. 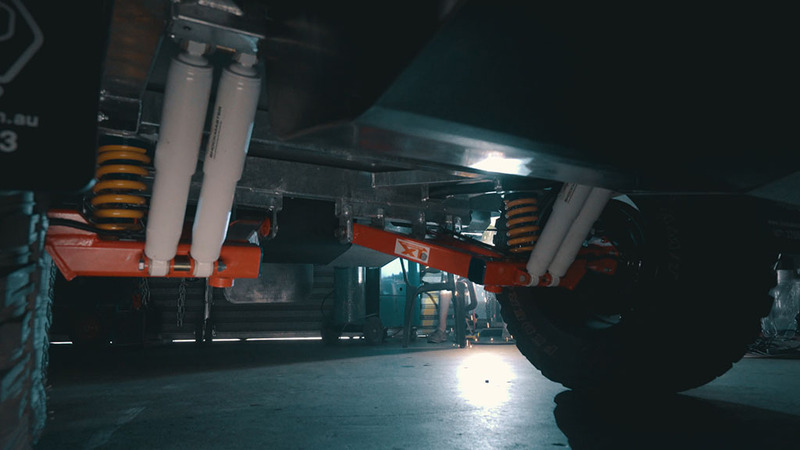 With the CRUISEMASTER XT Coil suspension system equipped to your Trackabout you can be the true off-roader. It is the modern day answer for economical load protection and towability. Softer spring rates help protect both the trailer and its contents. 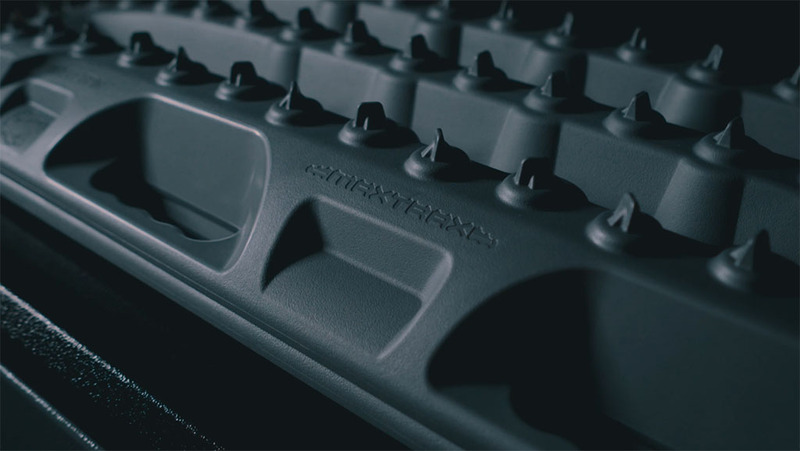 It also features dual rate system incorporating internal polyurethane bump stops that provide a much higher secondary rate of suspension before the coil spring becomes coil bound. The DO35 V3 retains the 3.5 tonne rating and same benefits of its V2 predecessor, but features a lighter cast body and has forged steel components, with VC claiming that the coupling is even stronger than before. The more compact coupling also allows it to fit a wider variety of towbars without fouling the tongue of some Hayman Reese and OEM tongues. A reflector is now built into the coupling’s forward edge for easier identification at night. 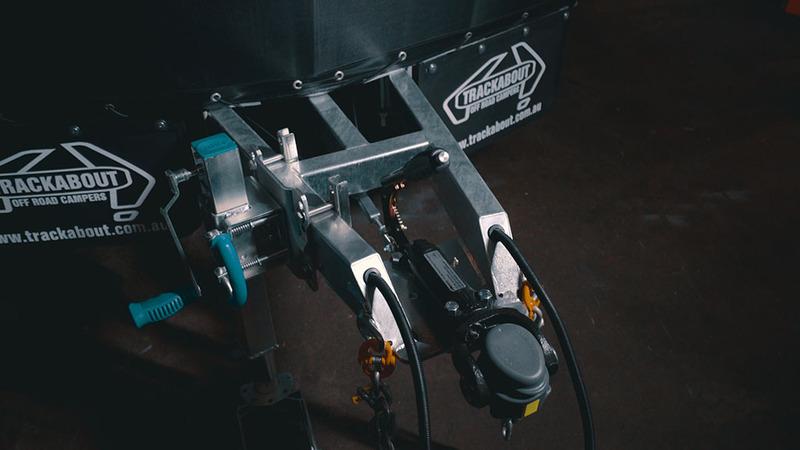 The DO35 V3 has 360-degree rotation, which reduces roll-over risk to your Trackabout and its two-stage ADR-compliant locking mechanism eliminates the risk of inadvertant de-coupling, while its quiet operation reduces mechanical clatter when towed. Combined with your Trackabout it takes the drama out of getting stuck. 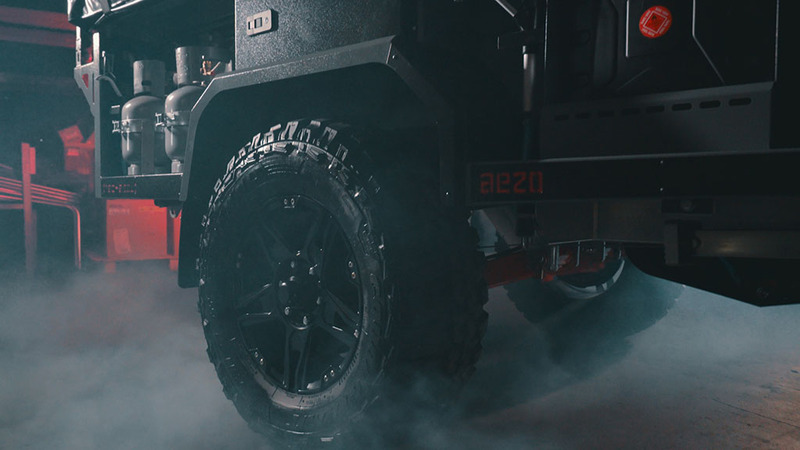 The aggressive large cleats on the MAXTRAX sink their teeth into the tyre tread and the terrain under your vehicle to prevent it from slipping back into mud, snow, or sand and make vehicle recovery quick and easy. These heavy duty off-road tyres are designed to conquer the impossible, this is Federal’s ultimate off-road tyre. Enjoy rugged off-road performance with the aggressive looks to match plus best in class traction, grip and strength. The three burner version of the SMEV 8000 series cookers complements matching stainless steel sink and lid. These have Flame failure Protection on all burners, meaning that should the flame blow out, the gas will stop flowing to that burner. 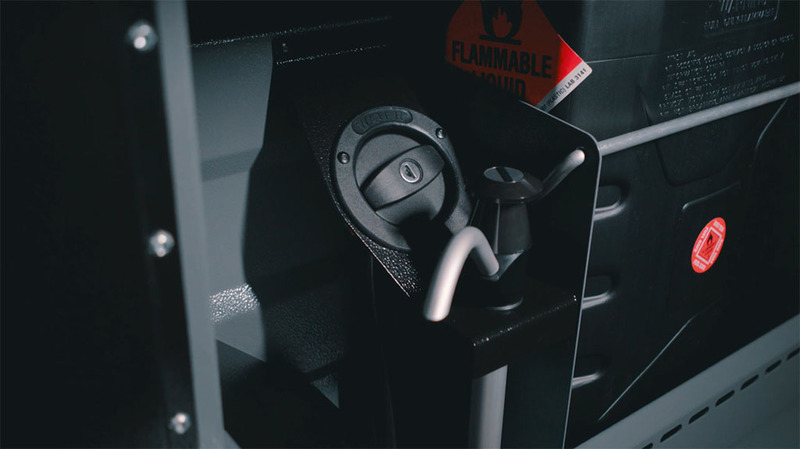 Each burner also has Electronic Ignition which is operated by pushing the ignition button, adjacent to the control knobs. Taking pride of place in the main living area of the camper, our meticulously designed Trackabout kitchen ticks all the boxes. Easy to use, plenty of bench space & storage and the perfect finish. A layout based on our customers' needs makes cooking & entertaining at your favourite campsite a breeze. Featuring a 60litre Evakool fridge freezer with Danfoss compressor, Smev stainless steel appliances and has plumbed water & gas lines with integrated waste pipe. Evakool is the industry's leading manufacturer of 12-volt portable fridges. Match this with Trackabout’s pursuit for quality and you end up with a great Aussie made fridge, built to Trackabout Spec. Featuring the upgraded Danfoss compressor for efficiency & low operating volumes paired with more durability with stainless steel latches and a custom colour combination that compliments the kitchen. Tick all the 12volt boxes with a 30amp DC-DC charger, mains charger and solar regulator and live up to the minute feedback on exactly what your on board 12volt system is doing. Carry all the extra water, petrol or diesel you need for your longer trips. With 4 jerry can holders (*Safari has 3 holders and 2 x 4.5kg gas bottles holders). 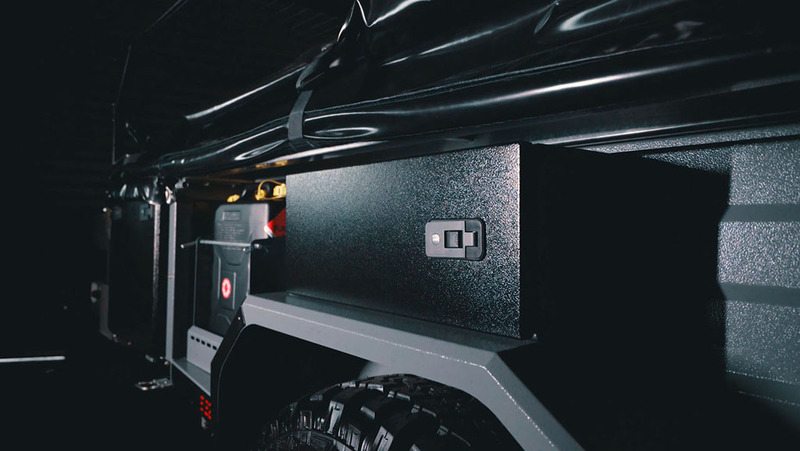 Placed in convenient location on the trailer for ease of access and not impacting on internal storage, you’ll have enough on board to explore any trail. Carry kayaks, boats, bikes, roof rack bags and additional firewood and much more with this impressive tilting boat rack. 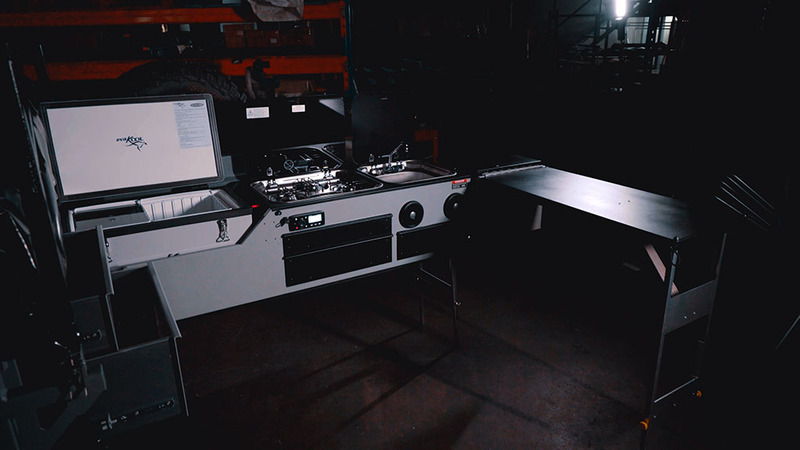 It doesn't compromising space or set up time. Secure the included plates, bowls, cups, mugs for 4 people and 2 wineglasses with this foam drawer insert which is designed to perfectly fit in the soft close kitchen drawers. Offering the storage solutions for any camping style. 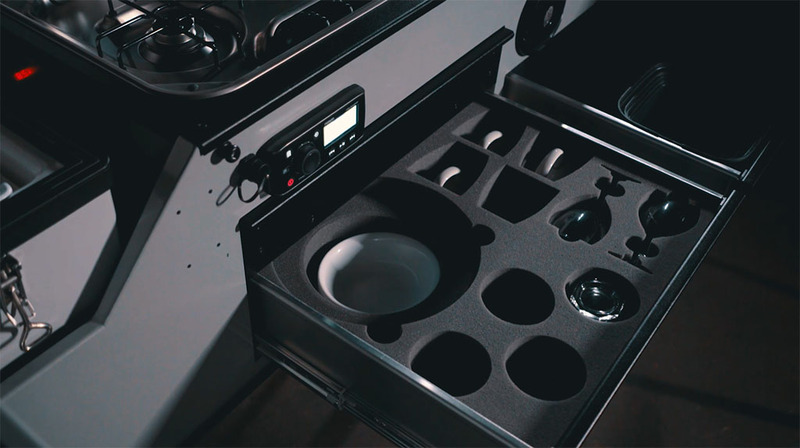 Your Trackabout has well thought out storage compartments that are all accessible with the camper packed down or set up. 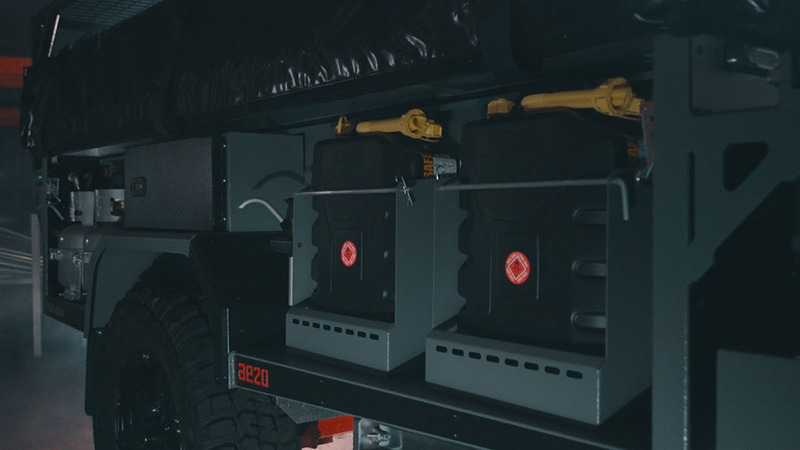 Offering a total of 2200 or 3300 litres of usable storage on the Safari & Extenda respectively. From the large full length pantry, idealic kitchen layout, walk up drawers for clothes & linen storage (*Extenda model only) and a large aluminium front box for bulky camping gear. You’ll have a place for everything when out on your adventures. 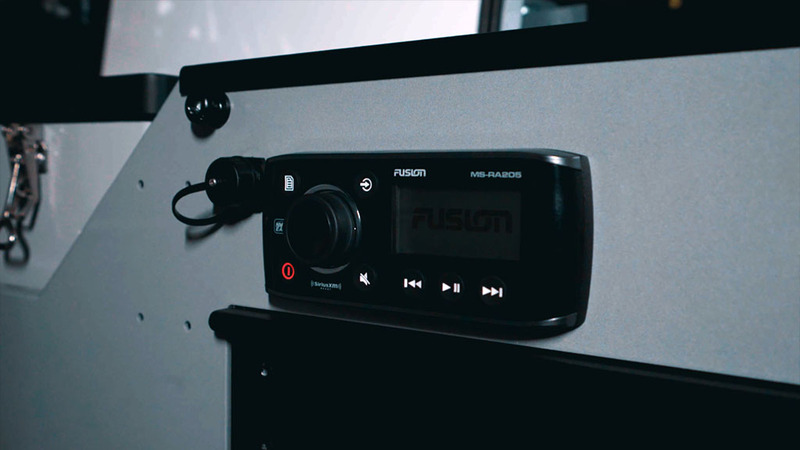 Set the mood when you’re out exploring with this Marine grade Fusion stereo system. Featuring powerful waterproof & shock proof speakers ideal for off road use the stereo system delivers music to your ear via am/fm radio & Bluetooth connectivity.